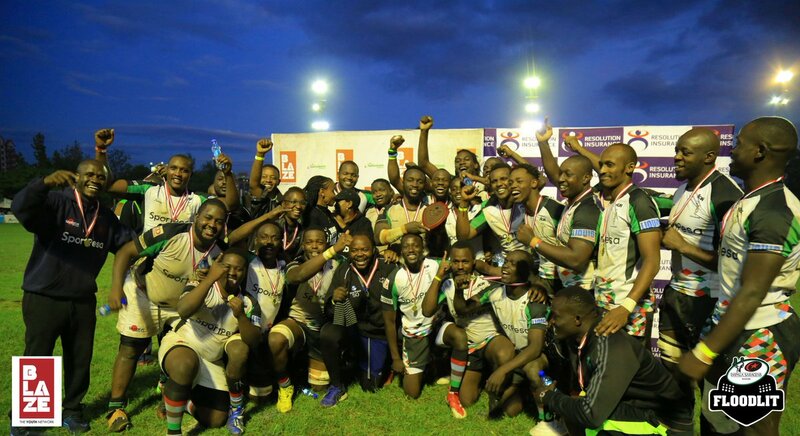 Kenya Harlequin were crowned champions of the plate category at the Impala Floodlit tournament beating Mwamba 25-6 played at Impala Club, Nairobi on Saturday October 27. In order to seal the win, Quins scored four tries while managing to keep Mwamba try-less throughout the contest. Captain Peter Misango, winger Daudi Ssemwami and Dominic Osino scored the tries for Quins, with the skipper Misango scoring twice to earn the man of the match award. Fullback Brian Kivasia kicked the two penalties for Mwamba who were up 6-0 before Quins went over through Ssemwami, Brian Beckham converting to put his side into a lead which they would continue to stretch until the fulltime whistle sounded. Misango was next on the scoreboard for Quins but Beckham missed the resultant conversion to earn Quins a 12-6 halftime result. In the second half, a second try to Misango and Osino sealed the victory for the quartered shirts who gained an extra three points through a penalty by Osino in between his try and the skipper's.